Circa 1900, nest of two Sheraton style mahogany occasional tables. With broad and thin boxwood banded tops with rounded edges, each with a shaped apron in the form of an arch all leading on to square legs. 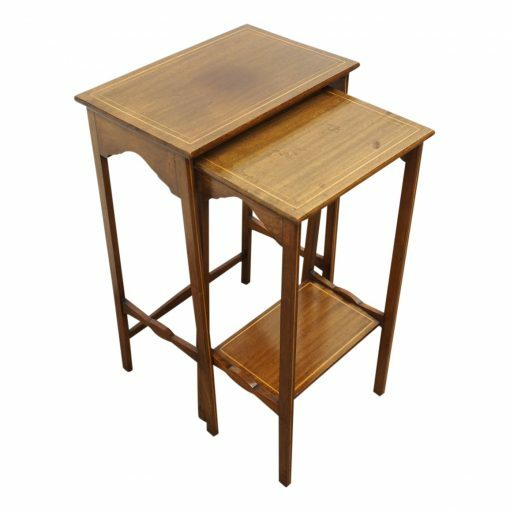 The legs have string inlay running down them, with a mahogany shelf towards the bottom and supported on a cross-stretcher.